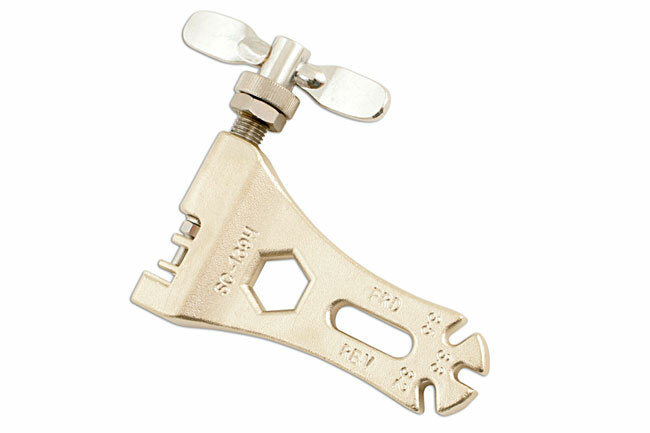 The chain link extractor (part no: 56059) is all-steel construction and is compatible with most chains including HG, UG and VG. 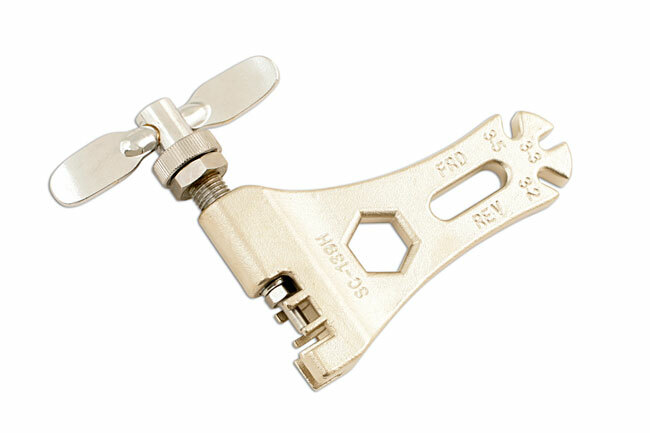 The straightforward design makes it easy to quickly extract and replace the link pin and the tool is light and small enough to be kept in the saddlebag. 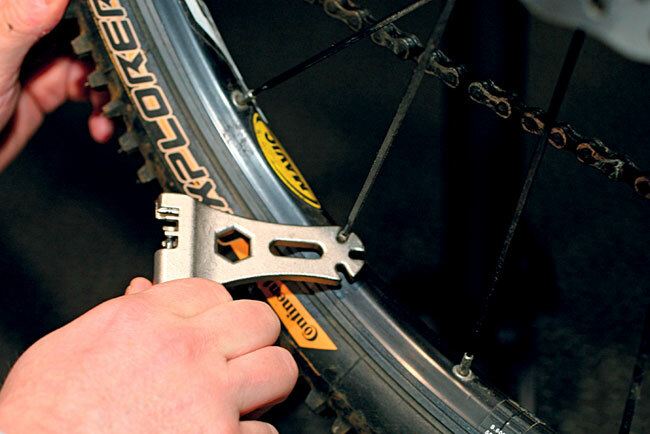 It also includes handy spoke adjusters which fit 3.2mm, 3.3mm and 3.5mm spokes. 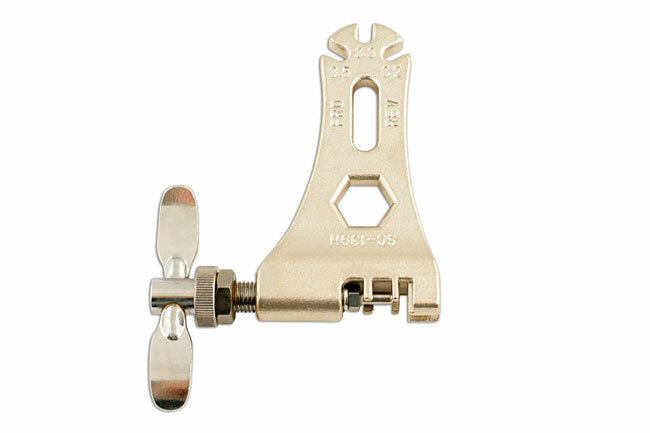 Great value at just £11.68 (+ VAT). 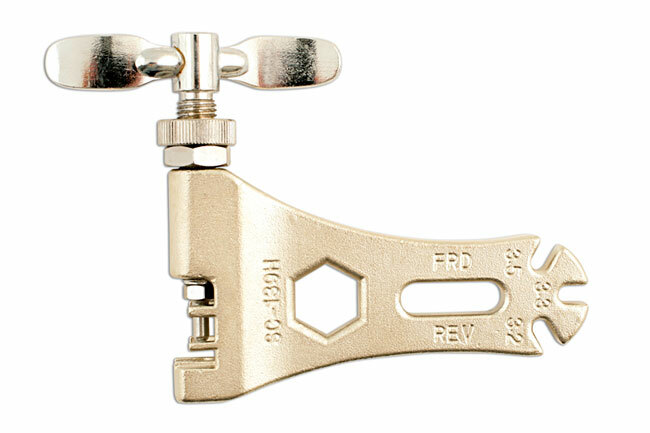 The chain wear indicator (part no: 56061) is manufactured from aluminium and features an anodised finish. 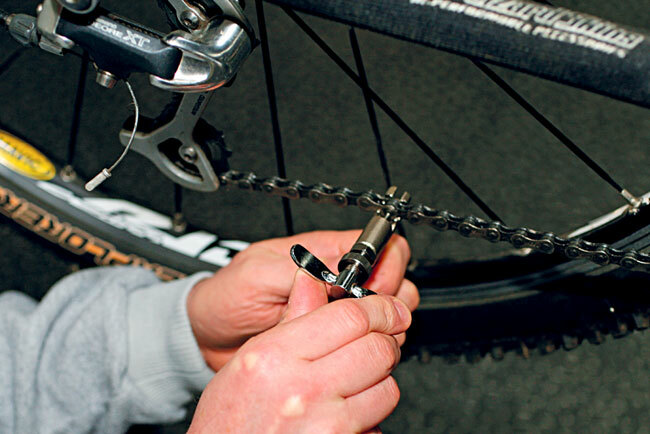 Provides a quick and easy check for chain wear so that the chain can be replaced before wear to the cogs occurs. 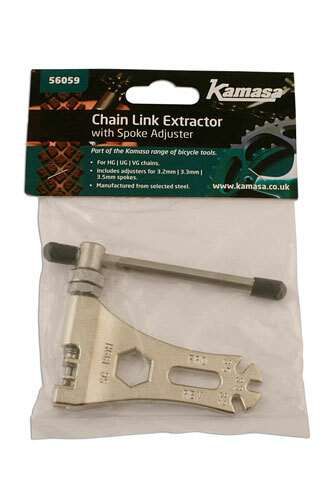 Exceptional value and available now for a typical price of just £13.98 (+ VAT) but check your local Kamasa stockist for the best prices and special offers.